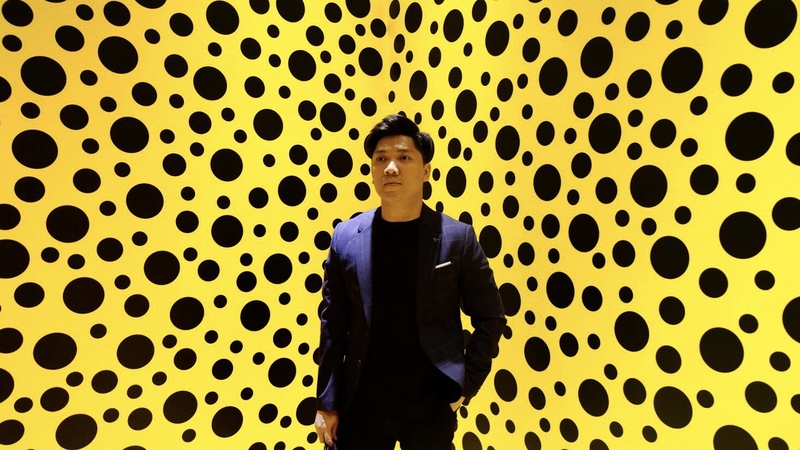 Museum Macan Jakarta is now the talk of the town because they have brought art exhibition from one of the world's most recognised living artists. 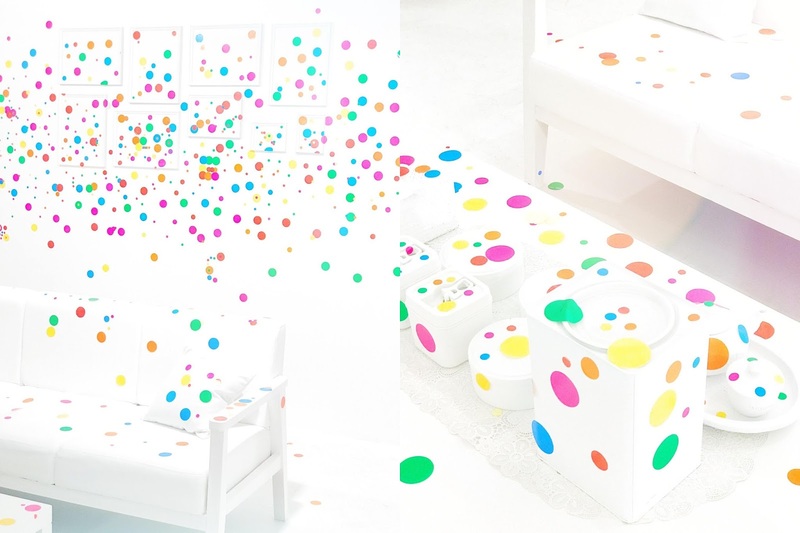 Yes, I'm talking about YAYOI KUSAMA: Life is the Heart of a Rainbow Art Exhibition! It is now happening at Museum Macan Jakarta from May 12th till September 9th 2018. 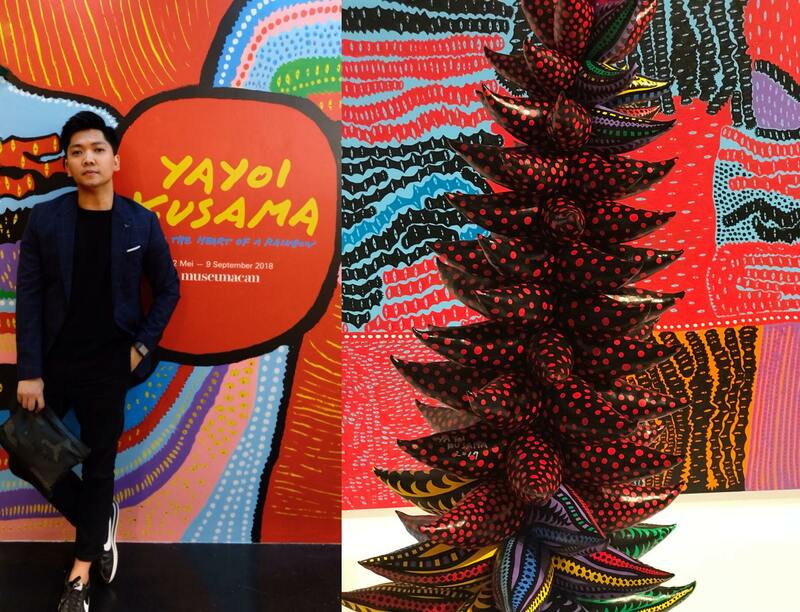 I'm glad that I had a chance to attended the opening ceremony of Yayoi Kusuma Art Exhibition at Museum Macan Jakarta on May 8th. Let's get to know about her and her arts. 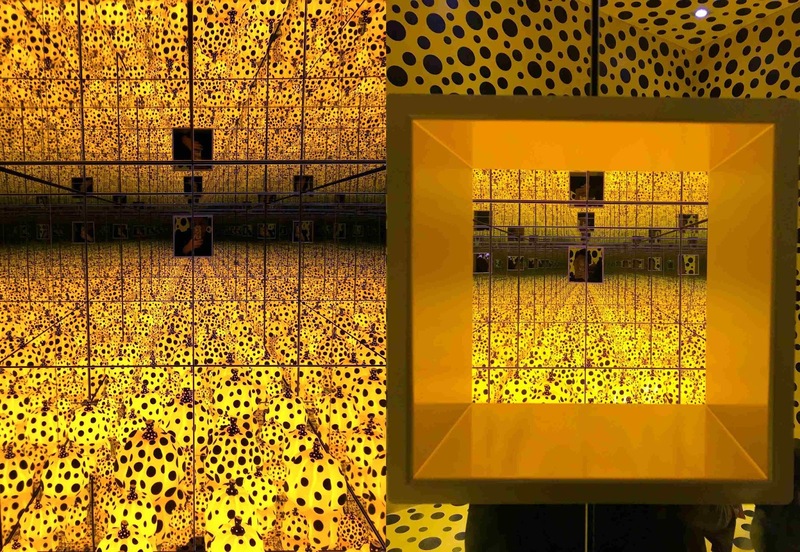 Kusama's paintings, sculptures, videos and Infinity Mirrored Rooms have transcended into global popular culture. 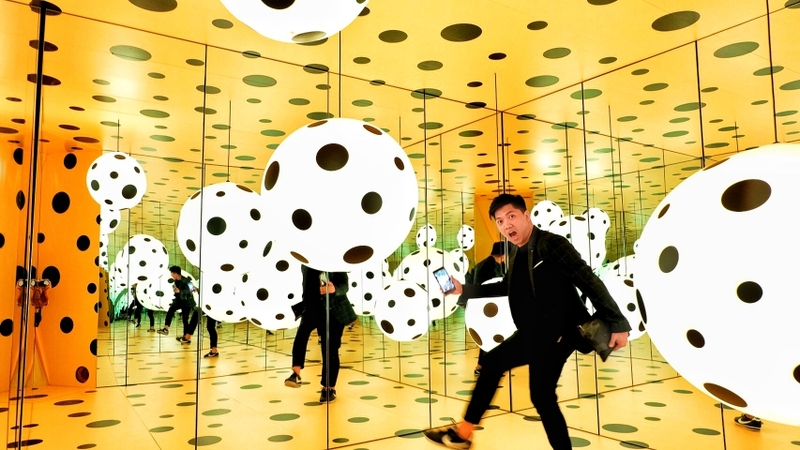 This exhibition traces the artist's development over seven decades, beginning in Japan in the early 1950s, moving to New York in the 1960s and returning to Japan in 1973 where Kusama lives and works today. Life is the Heart of a Rainbow is a focused survey of Kusama's vast output. It explores the development of her iconic motifs and themes, and their formal and conceptual interconnections through her career. 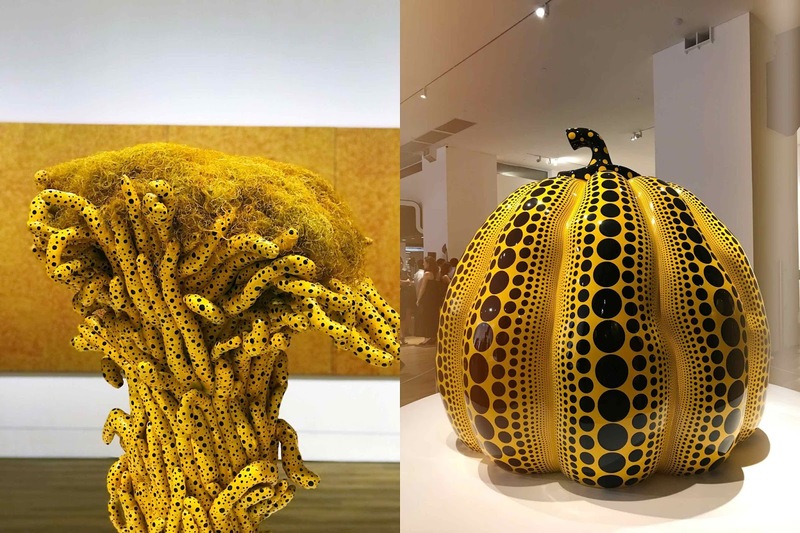 The exhibition includes Kusama's early painterly experiments from the 1950s that shows the advent of her signature use of dots, nets, and pumpkins; a selection of the celebrated Infinity Nets paintings; images of public performances and happenings; large-scale installations and recent paintings which demonstrate Kusama's fascinating approach to space. 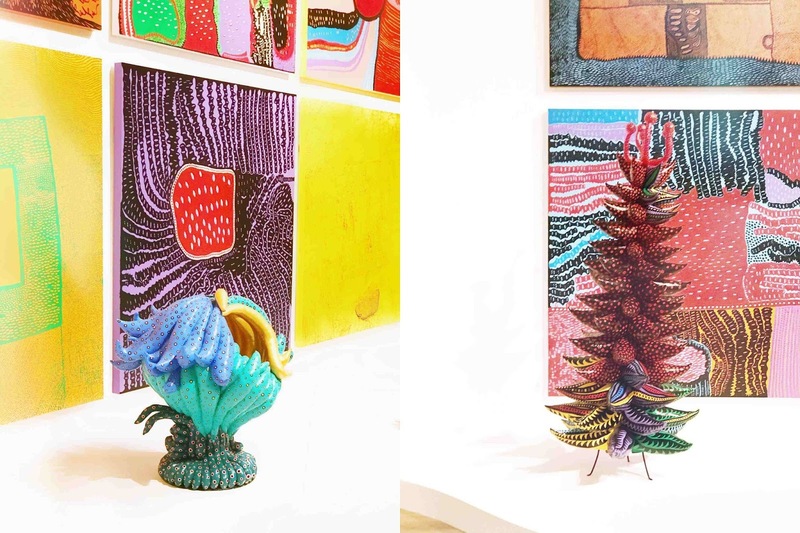 Here are some of the highlight that I captured from the Yayoi Kusama - Life is the Heart of the Rainbow Art Exhibitions at Museum Macan Jakarta. 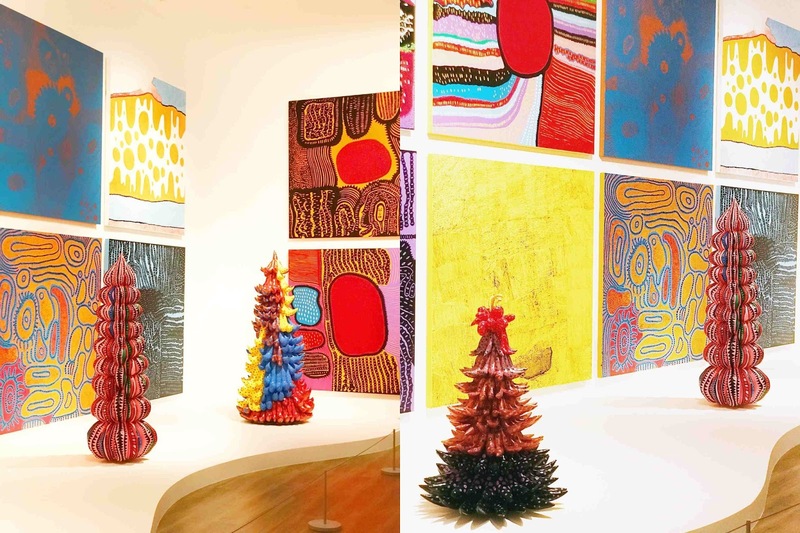 Upon her return to Japan in 1973, Kusama discovered that her homeland was changed dramatically. In this period, earlier motifs such as polka dots, flowers and pumpkins, reappeared, as her practice underwent several shifts: her paintings and installations expanded in scale to encompass the viewer; she resumed making large-scale soft sculptures; and experimented with different materials and techniques including collage and print making. 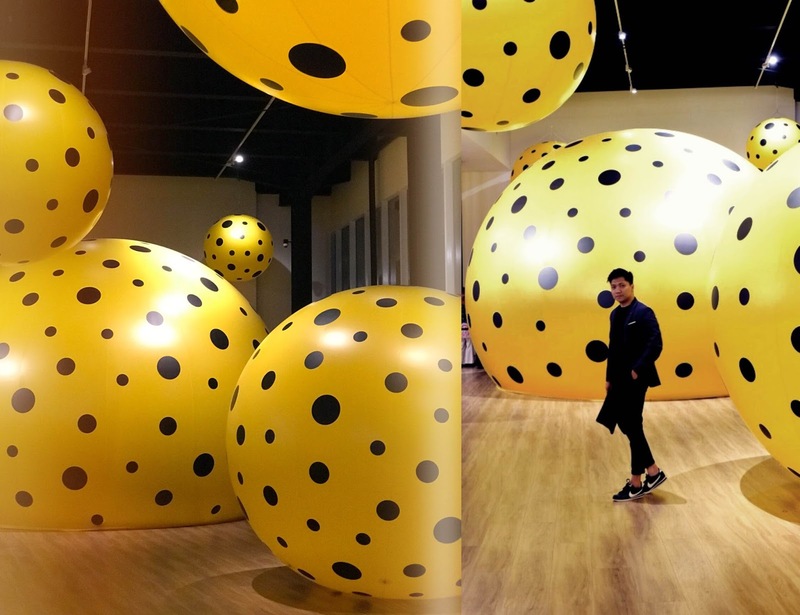 In the early 2000s, Kusama began incorporating childlike marks and imagery into her works. 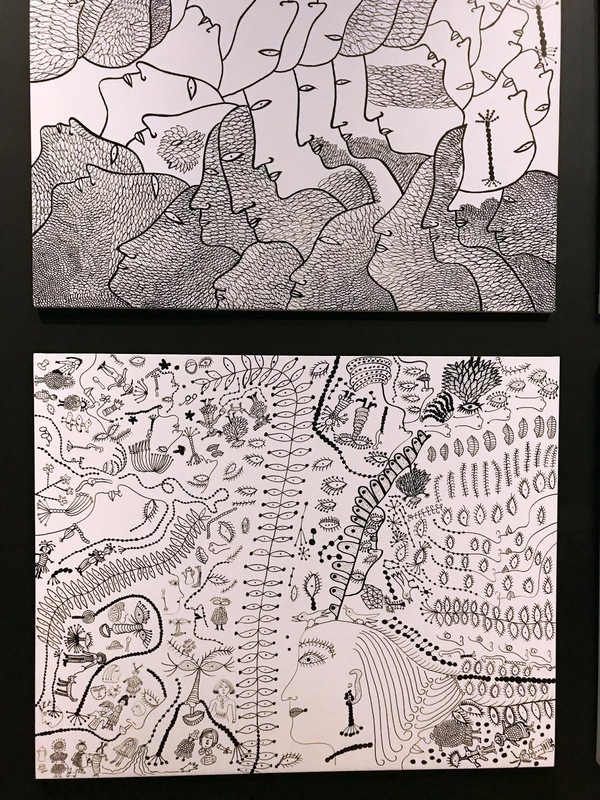 This can be seen in "Love Forever", a large suite of works, developed from monochromatic felt pen drawings, created between 2004-2007. 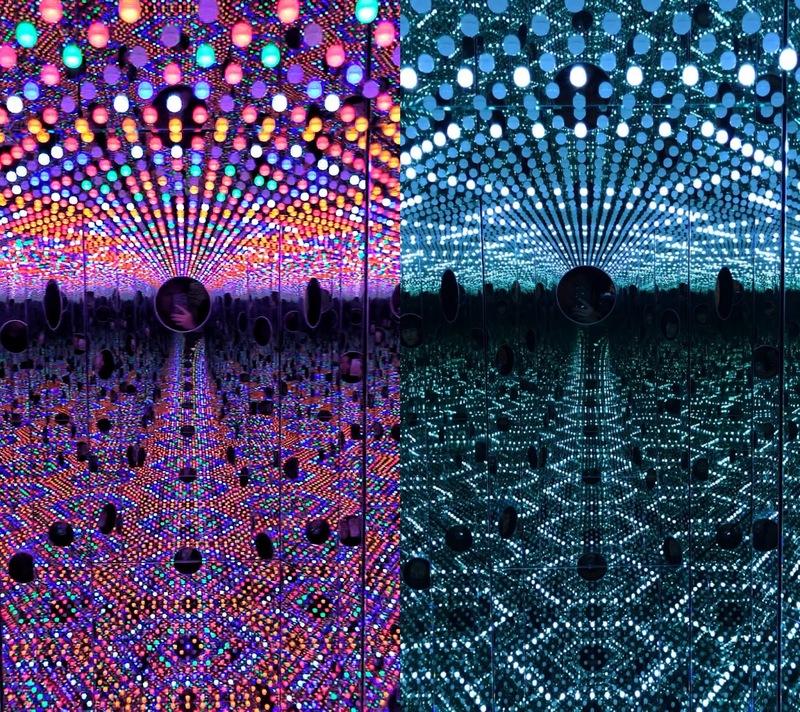 These works are displayed surrounding a "peep box" titled I Want to Love on the Festival Night (2017). 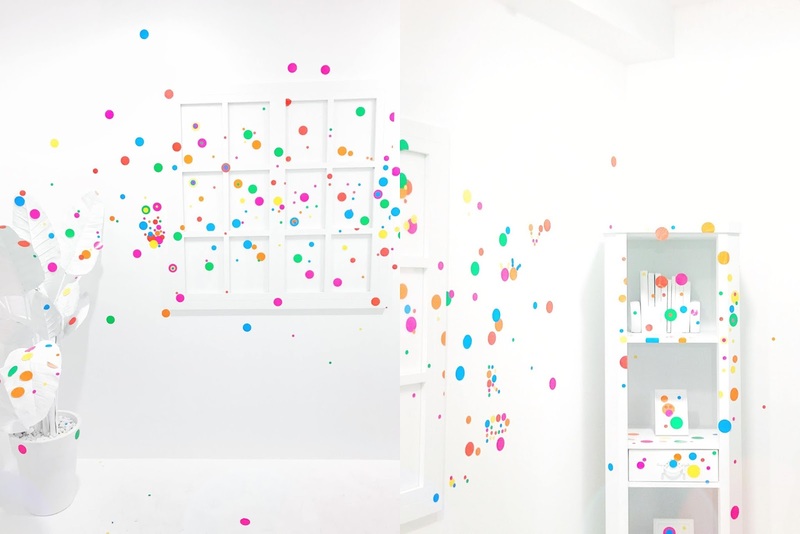 This Section center around Kusama's recent painting series. 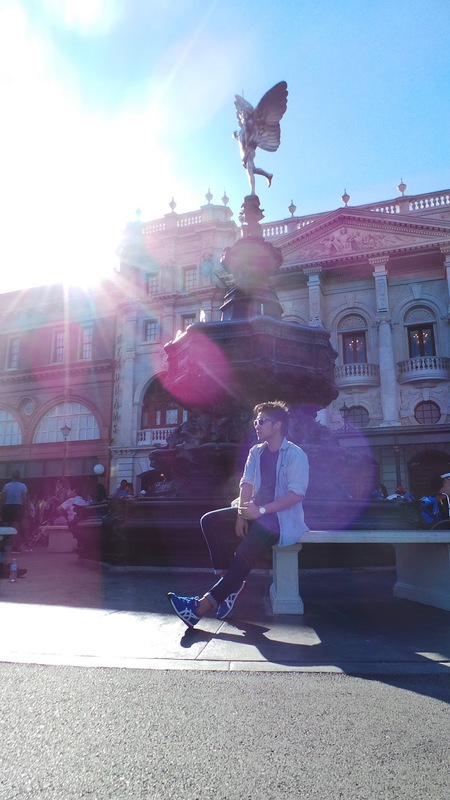 The Monumental series began in 2009 and continues to this day. The series currently includes over 500 individual paintings. One of these paintings, Love is the Heart of a Rainbow (2017), is also the title of this exhibition. 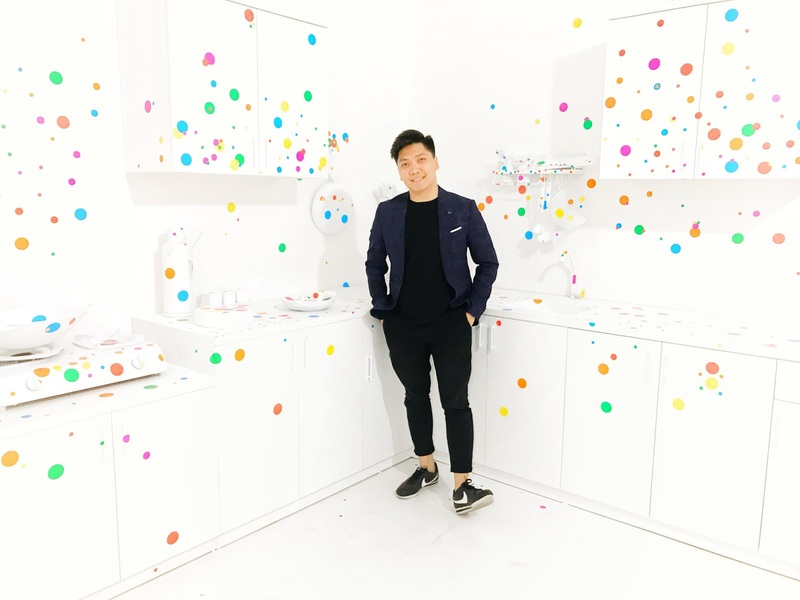 THE OBLITERATION ROOM // THE MOST FAVORITE SPOT! When she was a small girl she started seeing the world through a screen of tiny dots. They covered everything she saw - the walls, ceilings, and even her own body. 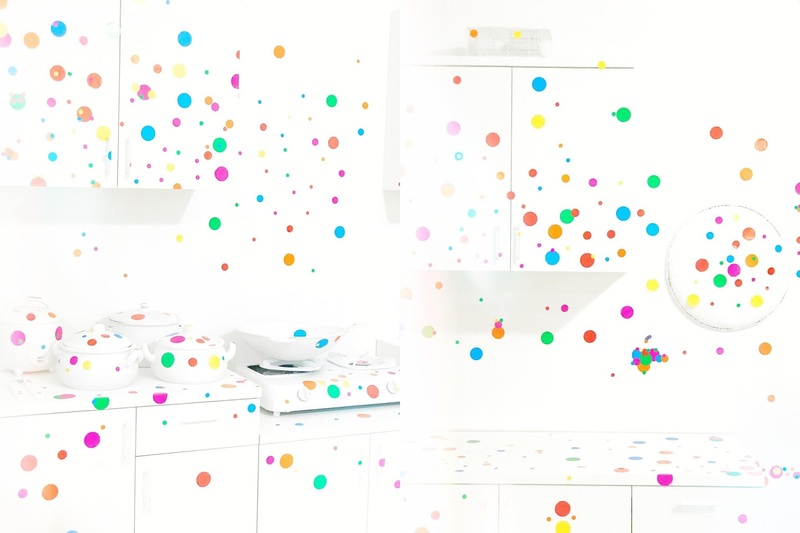 For 40 years she has made paintings, sculptures and photographs using dots to cover surfaces and fill rooms. 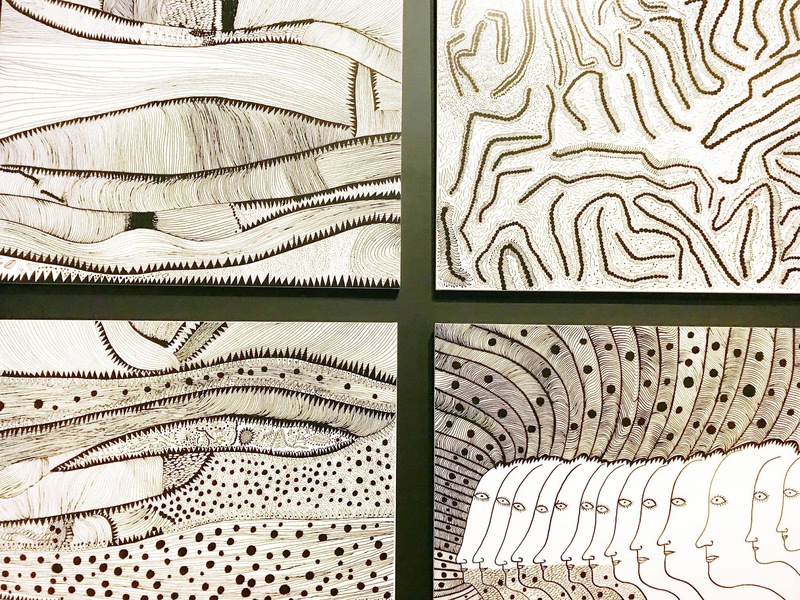 Kusama calls this process "Obliteration", which means the complete destruction of every trace of something. 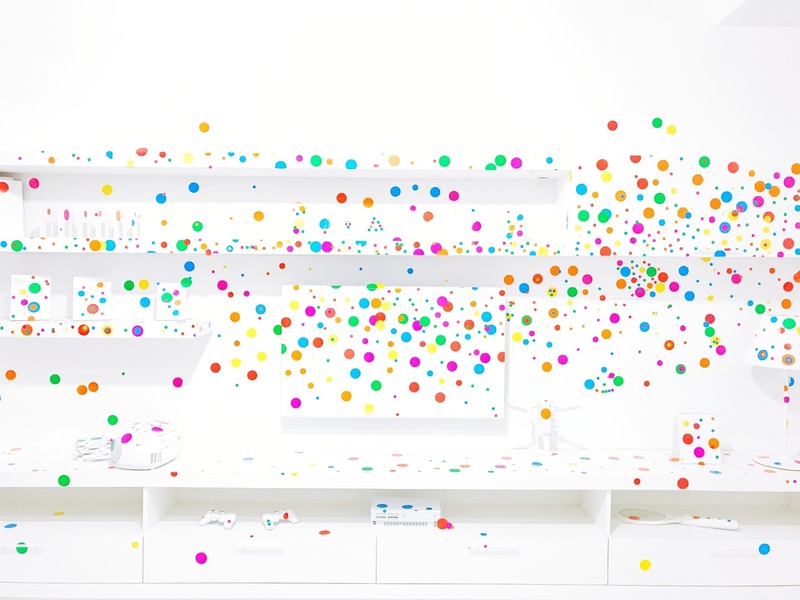 If you happen to enter this room, you will receive one pack of dots sticker and you can them put anywhere you want inside the room. Other highlight was Narcissus Garden - Stainless steel balls, approx 2,000 balls; diameter 17 cm each ball. Installed size variable. 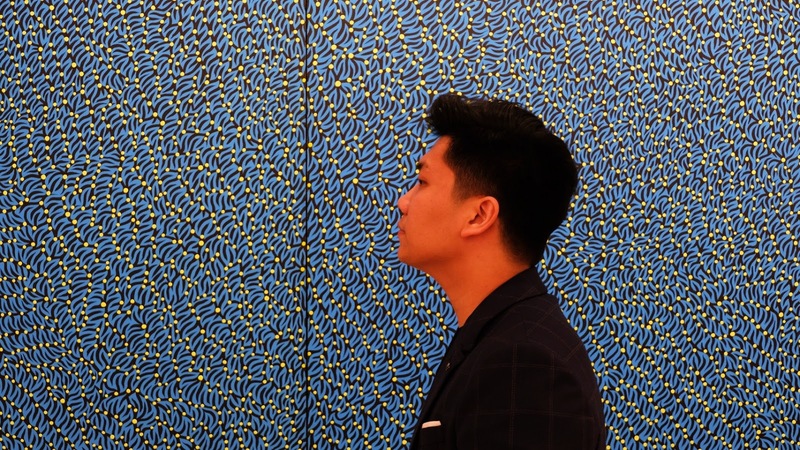 Secure your ticket to attend the first exhibition of Yayoi Kusama in Indonesia. 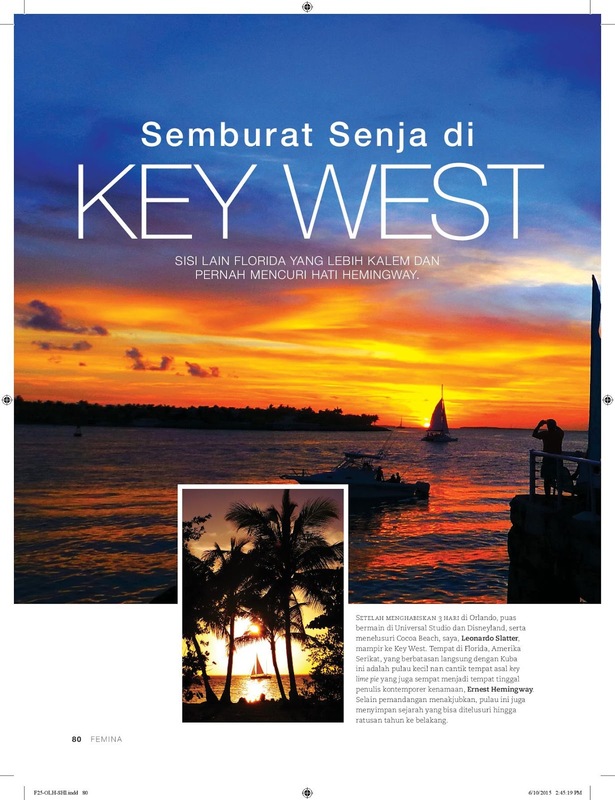 For further informations you can click the link below!